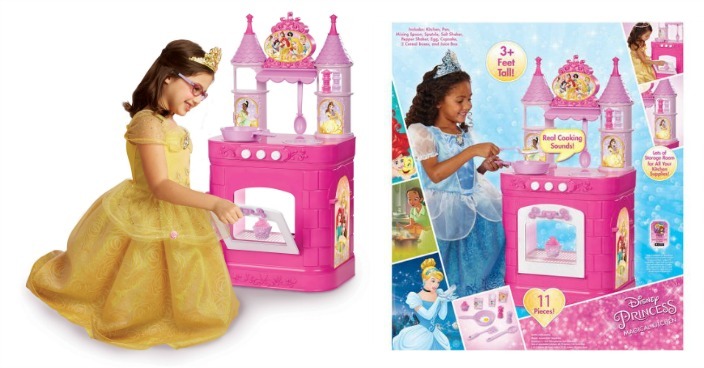 Disney Princess Magical Kitchen Just $30! Down From $60! You are here: Home / Great Deals / Disney Princess Magical Kitchen Just $30! Down From $60! Right now you can get this Disney Princess Magical Kitchen for just $30 (Reg. $60) at Walmart! You can get FREE shipping on orders over $50 or you may be able to get FREE in-store pickup! The Radio Flyer 500 Ride-On helps children enjoy a thrilling activity. It’s easy for young kids to push the pedal and steer. This Radio Flyer ride-on also comes with a ramp so they can get a head start for more exciting rides. The front wheel has footrests to make it safer and more comfortable. There are grooved tracks inside the ramp so you can use it with miniature cars (not included). A storage drawer in the base is spacious enough to hold the ride-on when they’re done playing with it. The ramp unit separates into multiple pieces to make it easy to stack away for more space-efficient storage. The strong plastic design is sturdy enough to hold up to lots of regular play. You can set it up inside during a rainy day, or out in the driveway or on the sidewalk when it’s nice out.